Here’s an excerpt of the first official review of Shades of Milk and Honey from Joe Sherry of Adventures in Reading. 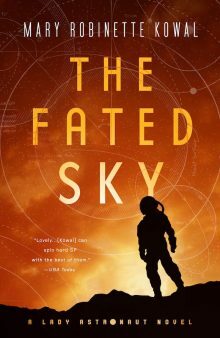 No matter whether one comes into Shades of Milk and Honey as an unabashed fan of Jane Austen or, like me, avoids the stuff like the plague, Mary Robinette Kowal has delivered a debut novel to satisfy any and everyone. Shades of Milk and Honey is silky smooth and beautifully written. 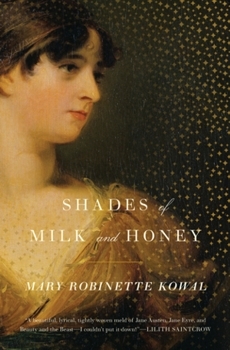 Kowal uses, on occasional, the style, spelling, and formality of Austen-era fiction, but does so in a modern manner to ease the reader through the novel. It works and works to the point that not only can I recommend Shades of Milk and Honey to readers who would never otherwise pick up this book, but I can also state that after finishing Shades of Milk and Honey readers will be ready for Glamour in Glass now and won’t want to wait for next year. What a lovely, auspicious first review! I was relieved and pleased. I know! You might even like it, Dad. Excellent review, Mary. The first of many, I’m sure. Congrats!